Congratulations to the San Francisco Giants, as they have won their second World Series title over the past three years. I say this to a team which has overcome the heartache of its once beloved homerun king, Barry Bonds, who the fans now scorn for his infamous use of illegal steroids during the prime of his career. However, that is a crisis of the past, and this team is not looking back. They are now considered a winning and recognizable franchise in sports. This is a team that I among most baseball fans can respect. Still, it hurts to watch this success while I crave the same from my beloved New York Yankees. 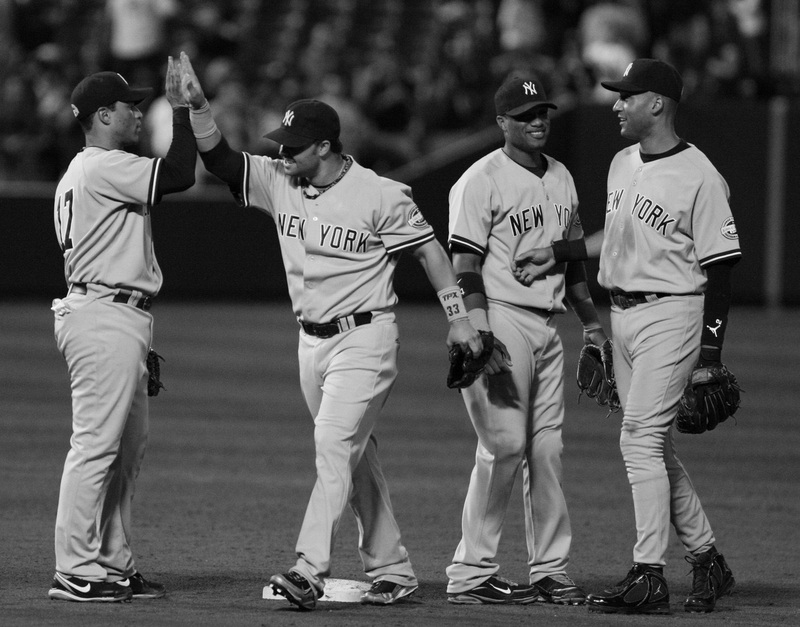 Most would associate the word “success” with the Yankees, but it has a special meaning to us fans. The Yankees are a team that has left millions of fans around the world with anger in their hearts and a pit in their stomachs. These emotions are the result of yet another early exit from the playoffs after losing four straight games to the Detroit Tigers in the American League Championship Series, who then were swept by the Giants in the World Series. Of course the non-Yankee fans would argue that a fan of a team with the league’s highest payroll of $197,962,289, and one that has made the playoffs nine out of the last ten years can not be one to complain. However, those are the very factors that leave Yankee fans with the disappointment and frustration that most sports fans can not fathom. It tears us apart to see our team, which was built to win a championship, fall short year after year. Yankee fans look at this lineup of superstars which includes Alex Rodriquez, Curtis Granderson, and Robinson Cano, and which leads us to expect nothing less than to make the playoffs and subsequently win it all. For most teams achieving a playoff spot is a victory in itself, but with the countless All-Stars that the Yankees hold, the fans as well as the organization see this outcome as a necessity. Were it not for years of victory and success, this would not be something of concern for Yankee fans. The Chicago Cubs have not won a world series in 104 years! The fans are content to see their team have a winning season, and ecstatic to see them make a playoff series, regardless if they win. As Yankee fans we deal with the tease of coming so close to the championship that we feel it is “needed”, and constantly coming up short due to our top paid players underperforming in the spotlight and pressure of October baseball. Can you blame the fans for high expectations? I grew up in the 90s during the prime of the Yankees winning seasons. My fan-hood came from watching the gritty warriors Paul O’Neil, Bernie Williams, and even our current captain Derek Jeter perform and win when it mattered most. Some say that this time period gave birth to the current Yankee following, because this is the era when this top paid team performed to their potential. I can truly say that I will be a Yankee fan for life, win or lose. However, I continue to hold within me the desire for winning it all, every year. Some say that is selfish and irrational, but based on the money and talent within this organization, I go beyond wanting it; I expect it. Yes, the feeling of rooting for a team that brings consistent wins throughout an entire season is motivating, but how the season ends is what matters most. It is the final outcome that leaves the fans with months of arguing about “what ifs” and determining who is to blame. This will be in the minds and hearts of all Yankee fans through the entire off-season, but that is because as Yankees fans we expect eternal success, and—who can blame us?